Increase your expected tax-free lump sum at retirement. This is potentially 25% of your retirement fund, if you are a member of DC company pension scheme or 1.5 times your salary. Please refer to your AVC Member Guide for full details on your tax-free lump sum entitlement. You can also help boost your retirement income. In addition you may wish to protect your dependents in the event of your death after retirement. 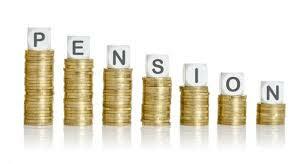 Adding dependents’ pensions has a cost attached – your AVC pot can help with this cost. You decide how you want to invest your AVCs i.e. your investment funds. *The tax relief limits are very generous and are based on your income, age and a maximum earnings limit.